With all the new housing estates popping up throughout Camden, one thing has become pretty clear – us Aussies love plantation shutters!! 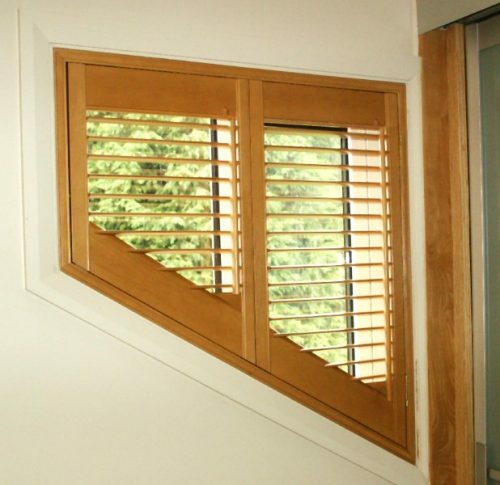 Why wouldn’t we? 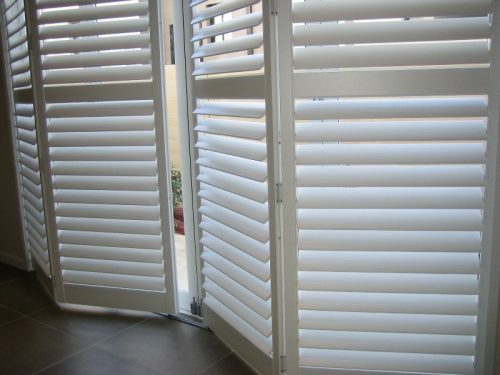 Apart from looking absolutely stunning, they are perfect mix privacy, style and functionality. 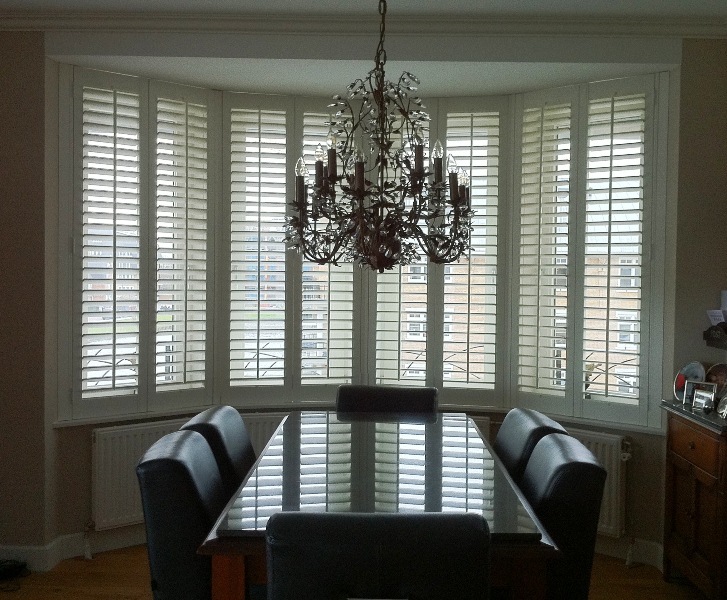 Versatile Styling: Because plantation shutters are the perfect mixture of traditional elegance and modern design, they go well with just about any decor. 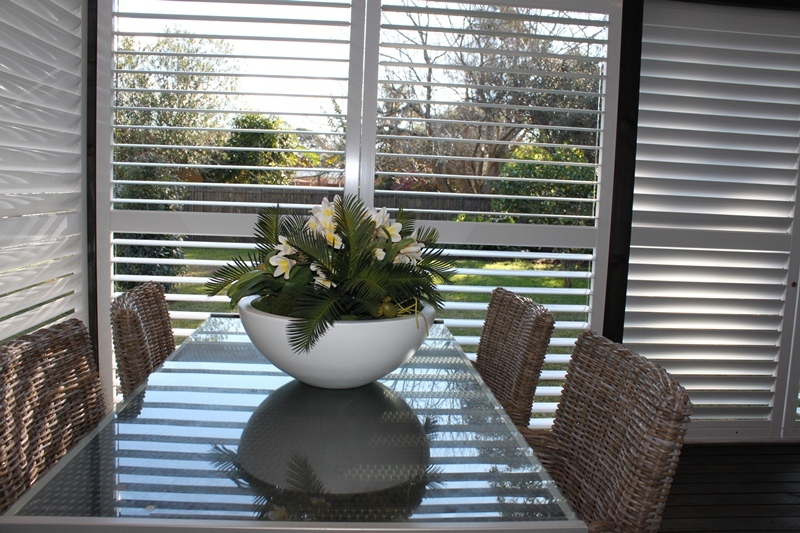 Interior designers love plantations, particularly white/off-white (the most popular colour) because no matter what your styling preferences are for the rest of the house, plantations will fit in with your final design selections. 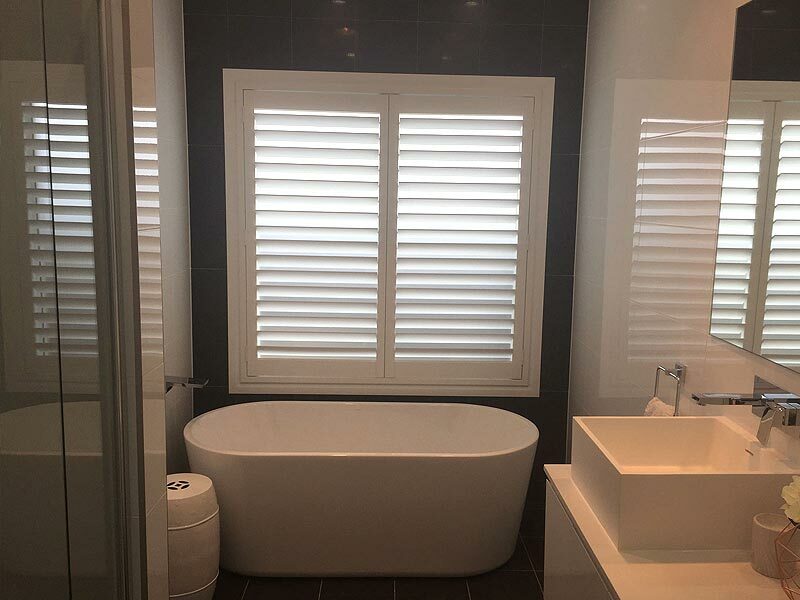 Ease of Use: If you book an in-home appointment with us, you will be surprised just how easy these shutters are to move up and down, giving you instant control of the lighting of a room throughout the day and night. 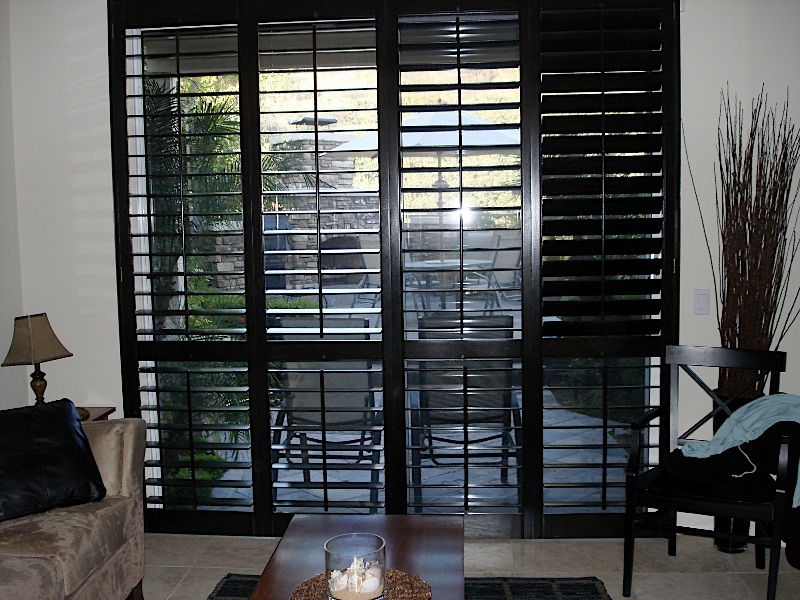 Not only are the blades easy to move up and down, but the panels are on hinges (like mini-doors) and they pop out with ease so you can open/close or lock your windows. 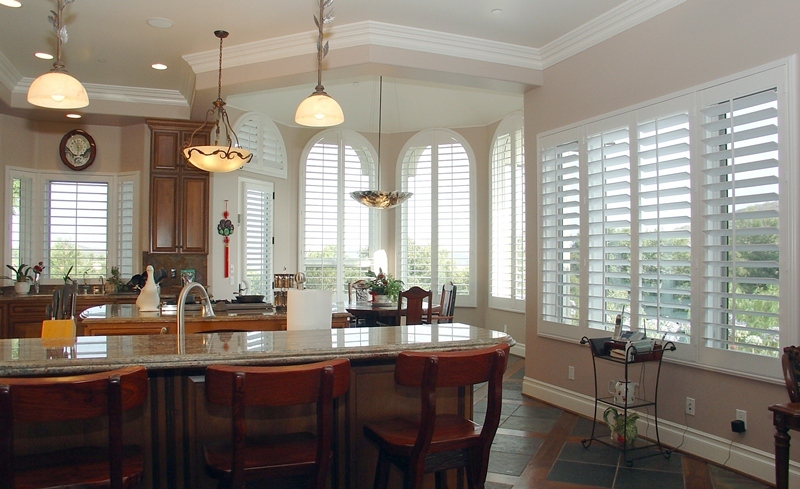 Resale Value: Everyone I have shown plantation shutters to absolutely falls in love with them. You can be sure that if you ever want to sell your home, plantations will be a huge draw card for potential home buyers. Solid Design: They have been designed to go the distance, with no complex pulleys or mechanisms, just straight-forward, simple and reliably designed shutters that you won’t need to repair or replace every time someone uses them (unlike some other types of blinds). Easy Cleaning: Using a duster, dust comes off the shutter blades with ease, again opening the hinged panels makes for easy cleaning and maintenance for years to come. Eco-friendly and Power Bill Friendly: Our shutter blades are filled and not hollow, providing you with a solid product that has great thermal properties. 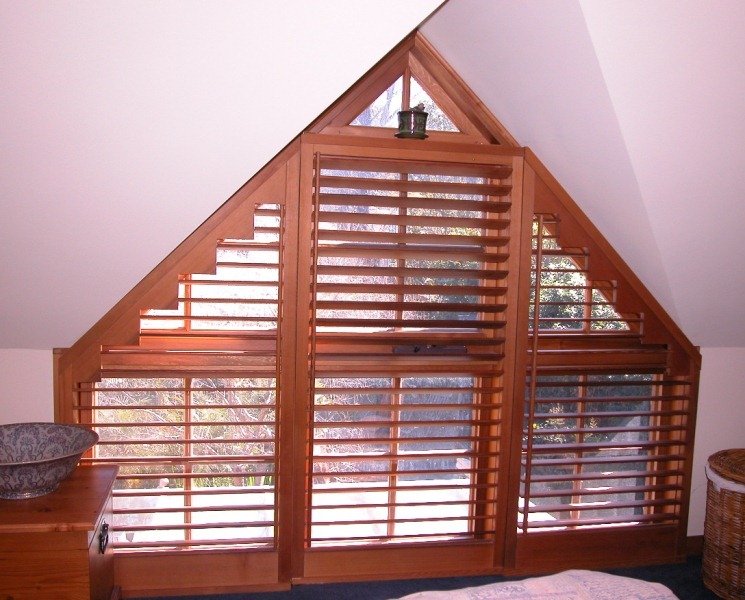 This ensures that your home has an extra layer of insulation from the heat and cold entering through the glass of your windows. 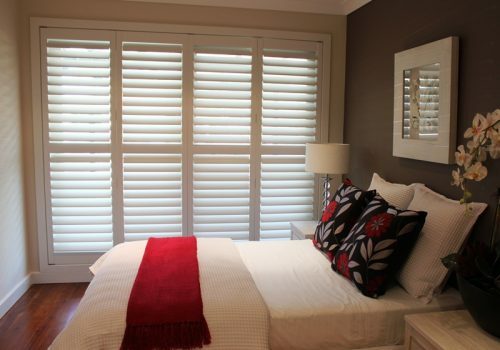 Our pricing is from $299 per square metre. 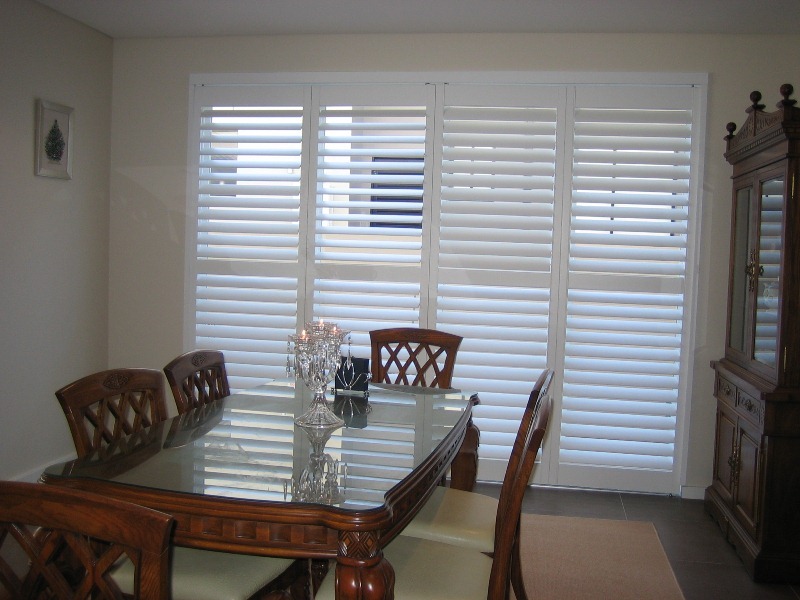 With over 10 years experience with shutters and blinds, the team Designer Blinds and Shutters make the design of your home easy and trouble-free. 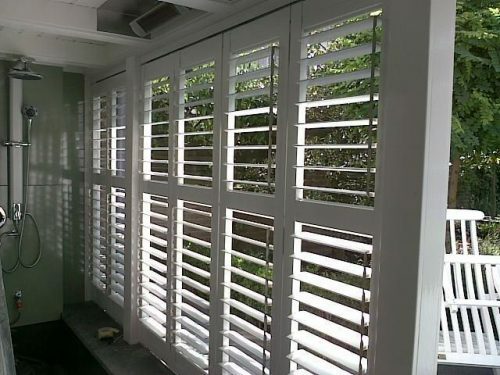 We strive to make you happy, we value our reputation and if we have an unhappy customer, we do everything in our power to turn the job around. Servicing all of Camden area, one our our shutter experts visit your home and measure up your windows for an obligation-free quote. 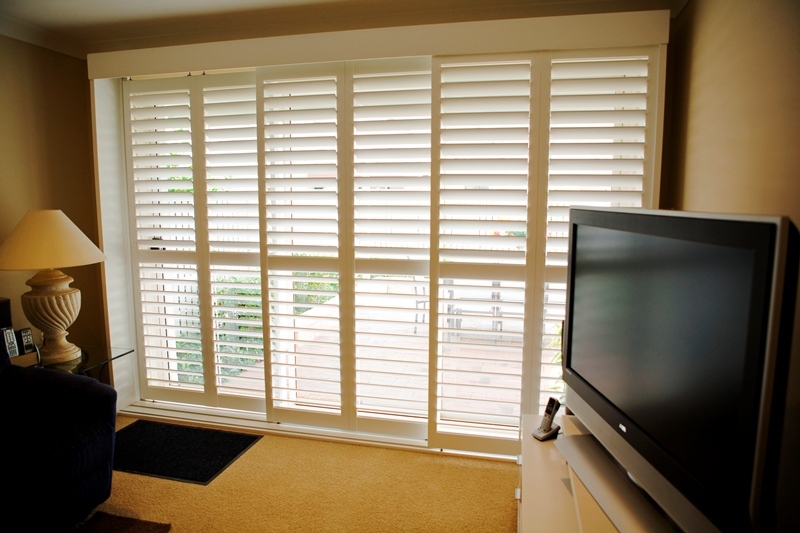 We will show you a sample of our product and you will be able to see just how good our product performs with your own two hands. When it comes to plantation shutters, they usually look quite similar, even though they are often made out different materials. 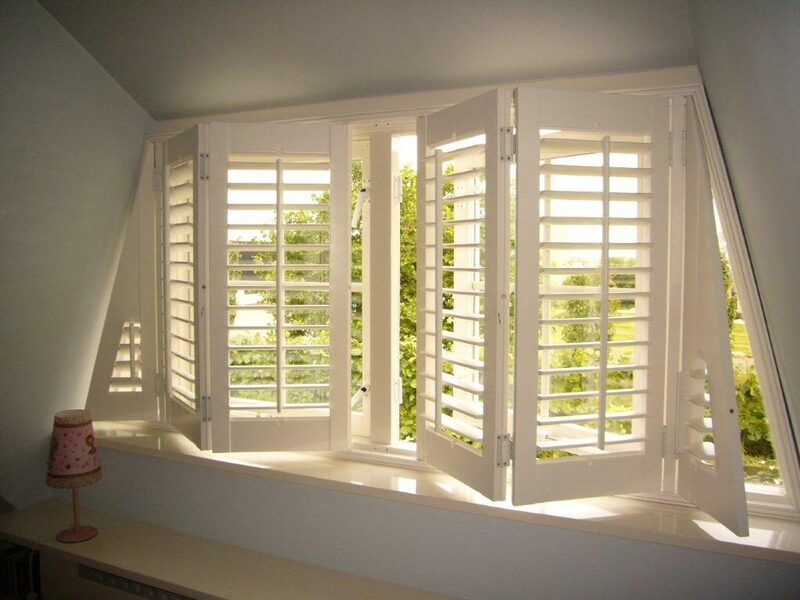 The majority of plantation shutters come in a white or off-white finish, so whether they are made of a polymer foam (or pvc) or whether they are made of basswood, both shutters will have the same clean, white (or any other colour) finish. 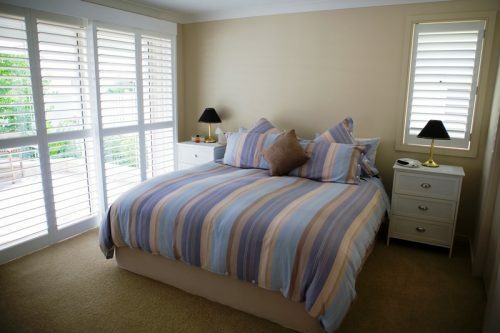 Basswood with Coating – These are the most common plantation shutters installed in Camden and throughout Sydney. They are the popular choice for most internal living areas. 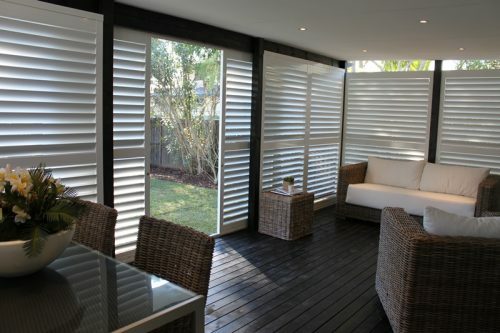 You can select a range a colours, even though these shutters are timber, the coatings give them a smooth, modern finish. 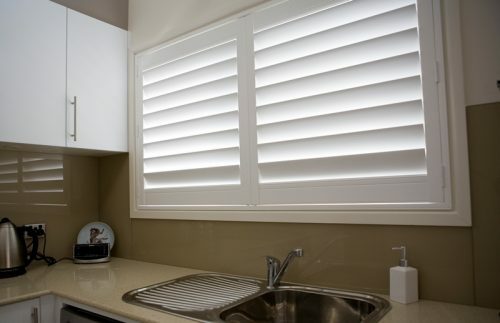 Polymer foam/PVC – This material is best used in wet areas like bathrooms and kitchens. 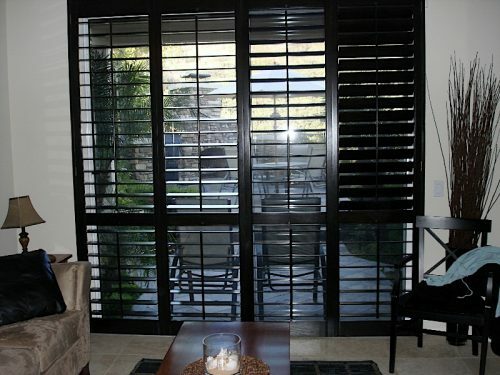 Aluminium – External shutters installed outside the home or in the alfresco area are usually made of aluminium, they have extra durability and are a little more weatherproof.